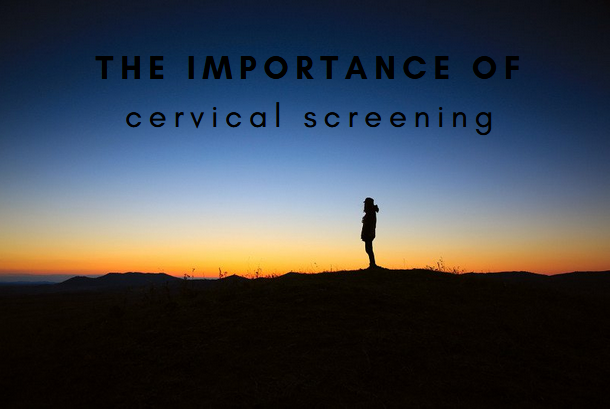 The importance of cervical screening – have a smear test! Yesterday I had a smear test. I haven’t had one in ages, but that wasn’t always the case. For a time, in my 20s, I had to have one every year, because I developed pre-cancerous cells. I don’t remember how the discovery came about (not because I’ve blocked it out or anything, just because it was a long time ago), but I think it was just from a routine smear test (I’ve always been strict with myself about getting them done) where the results came back showing some abnormal cells. I do remember being referred to the hospital for a biopsy and not being overly excited at the thought of having a piece of my cervix taken away for further investigation. Not gonna lie, it wasn’t pleasant. The sight of the needle alone was enough to make my legs go wibbly, it seemed huge! (but when you think about how far inside they have to go, it makes sense) and seeing my post biopsy bleeding cervix on a TV screen wasn’t the best, but the nurses were incredibly kind, and my Mom held my hand throughout (actually, I held hers, very very tightly – yes I was in my 20s and yes I still wanted my Mom). And then I had to wait for the results. Well, the first paragraph gave the game away as to what the results were; I had pre-cancerous cells. I asked the doctor what would happen if they weren’t treated; how long would it take to develop into cancer. I was told it could be 10-20 years but it would happen. Not that there was any doubt in my head to go ahead with the treatment to remove them. I was just curious. The treatment (a colposcopy) involved me on a hospital bed with my feet in stirrups while the offending cells were cauterised (basically burnt away). Again it wasn’t overly pleasant, but I was so glad to be in that situation, with a potential problem having been identified early on, than the unthinkable alternative. I had a couple of days off work, couldn’t use tampons for a few weeks and that was pretty much that. What’s the message here? Smear tests are very worth it. Even if an anomaly is identified, it’s better to catch it at an early stage than have to undergo invasive and life changing treatment further down the line. As I said, I was then called in for a yearly smear test, to make sure none of the cells had been missed during the procedure. From what I can gather, the main reason people avoid going for a smear test is either embarrassment, or fear of discomfort. There’s nothing at all to be embarrassed about; these nurses and doctors look at hundreds of female genitalia every single year and they’re looking for physical and medical changes; not judging your pubic hair or anything else. As for the discomfort issue, well yes, it can be uncomfortable, but the worst thing you can do is tense up because that will only worsen the problem. No-one really enjoys having a cold speculum inserted by a stranger, but the procedure exists for your own well being, so that’s that. Relax. I know that’s easier said than done when a person you don’t know very well is coming at you with an unfamiliar object to shove inside, but it will definitely be less uncomfortable if you can try not to tense up. Follow the nurse’s instruction on positioning, take some deep breaths, and remember that any discomfort is only temporary. If something really hurts, speak out. Medical professionals want you to feel as comfortable as possible. Don’t worry. The chances are that your results will come back completely clear. If you get called back for another test, it may just be because the first sample didn’t contain enough cells or there was a problem at the laboratory. If your results do come back showing issues, deal with it then rather than worrying in advance. Treatment is readily available, very successful and will be offered to you as a priority. I’ll leave you with a funny story I read in JustSeventeen magazine (anyone remember that?) many many moons ago, about a girl who went for a smear test the day after eating indian curry. The doctor asked if she’d mind if a student doctor came in to observe the procedure, to which she agreed. The doctor stepped out of the room while she was still naked from the waist down, legs akimbo so she let out a cheeky bit of wind which – post curry – was rather stinky and filled the air, and the doctor came back with the student who was a ridiculously handsome young male doctor. You can imagine how mortified she felt!! Always makes me giggle when I go for a smear test! 2 Comments on The importance of cervical screening – have a smear test!